Even when addressing the most essential items of the wardrobe, Moncler never fails to choose top quality fabrics, constructing them with the same decisive precision used for the most technical pieces of its own collection. 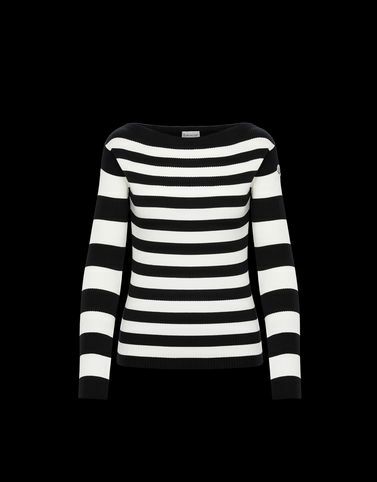 This cotton sweater with boat neck and nautical stripes recalls the brand’s original French style. Perfect to wear with jeans or boyfriend trousers.